JOIN PHILLY'S FIRST ENTREPRENEURS YOGA COMMUNITY! When Richard Branson, Arianna Huffington and Steve Jobs agree on something, it’s time to listen up. 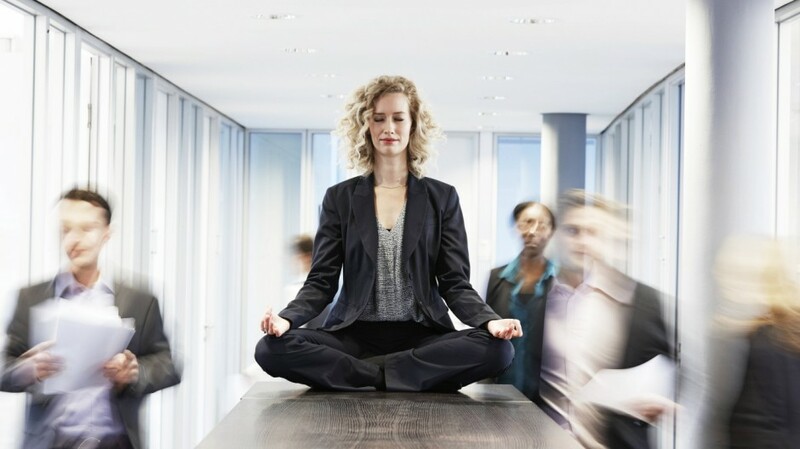 Mindfulness has swept the world of entrepreneurship for a reason. Here’s how science suggests that yoga and mindfulness help to cultivate the perfect set of skills to launch a successful business, and lead a fuller, happier life. Hatha Yoga (the practice of physical yoga postures and breath control), at its core, is a physical practice of mindfulness. Hatha yoga draws awareness to the present moment by using physical cues and sensations as the focal point. A common misconception is that yoga is about perfecting the pose you’re doing, when in actuality it’s simply about noticing how that pose feels in your body on any given day, and what thoughts are triggered in your mind. SO HOW WILL YOGA HELP LAUNCH YOUR BUSINESS? The Science: Yoga practice heightens your body’s recovery and resilience to stress on an autonomic and physiological level. A study reported by the NIH in 2016 demonstrated that yoga practitioners have significantly increased Heart Rate Variability (the ability of your heart rate to react and recover under emotional or physical stress) compared to their counterparts. HRV is directly associated with self-regulation and wellbeing. The results suggest that yoga practitioners have a greater capacity for stress mitigation and resilience. The Gist: Entrepreneurs experience more stress and stress-related health problems than employees or managers. No surprise there. When you practice mindfulness through yoga, your body and brain are changed on a physical level, making it easier to navigate through tough days, weeks, months, or years of uncertainty, long hours, and in all other words - insane stress of starting a business. The Gist: Just 20-minutes of yoga measurably improves your brain function, making it easier to accomplish all the things on your to-do list. You’ll do them faster, with more ease, and with sustained practice, more energy and enjoyment. For any entrepreneur, multitasking is a crucial skill, and yoga helps to develop the cognitive tools you’ll need to master it faster and more efficiently. The Gist: Entrepreneurs are almost routinely faced with tough decisions and rejection, and like it our not, our gut reactions to these situations drive a majority of our decision-making. By practicing yoga, our brains become adept at uncoupling negative observation from affect, meaning we develop conscious, effective strategies for objectively recognizing a negative situation, but not acting out of negative emotions. When it comes to running a business, this skill alone can make the difference between success and failure. Join Philadelphia's First Entrepreneurs Yoga Community.